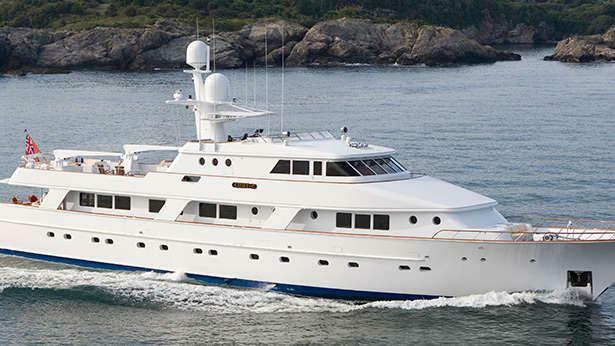 Motor yacht RENA is a 44,20m (145’) charter yacht built by NQEA Yachts in 1989. 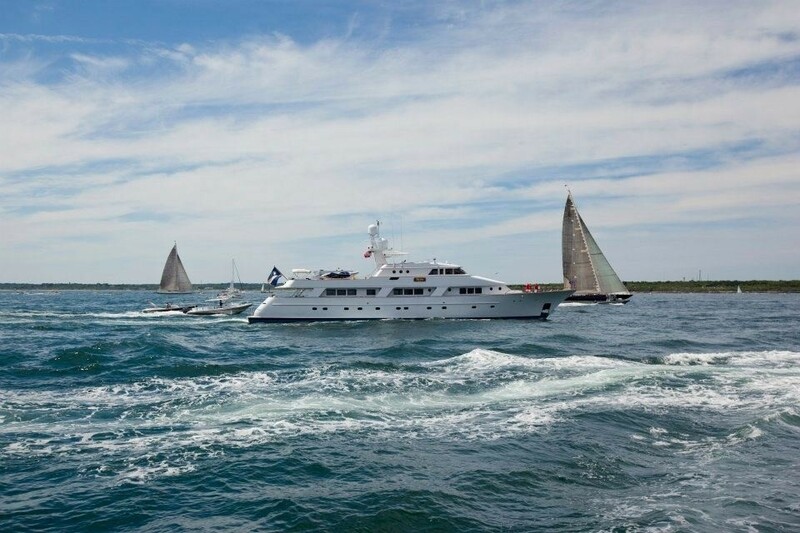 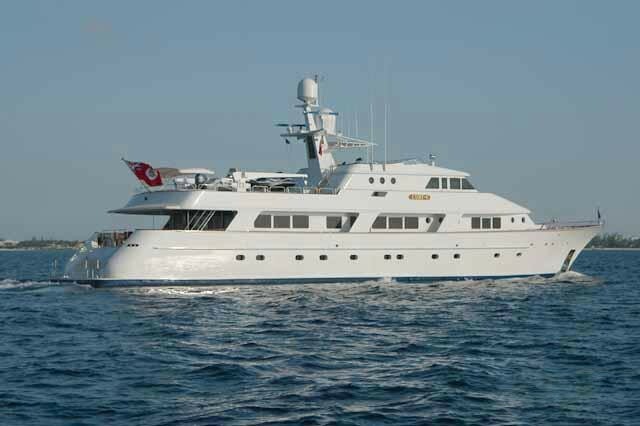 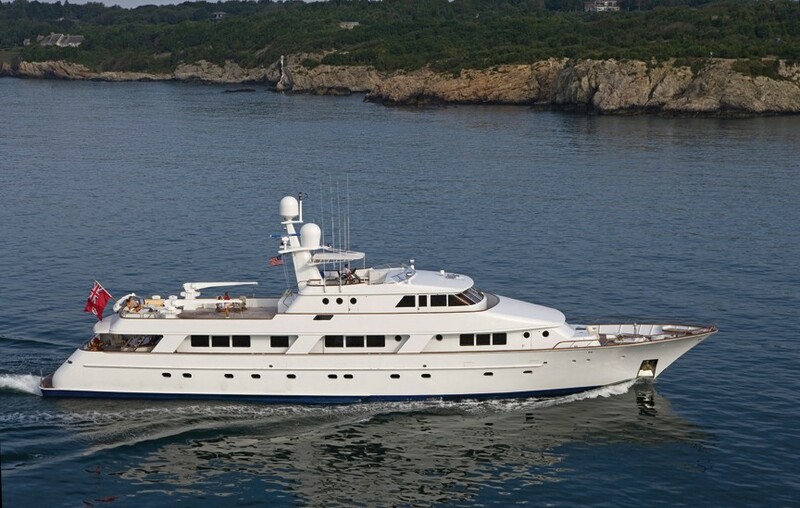 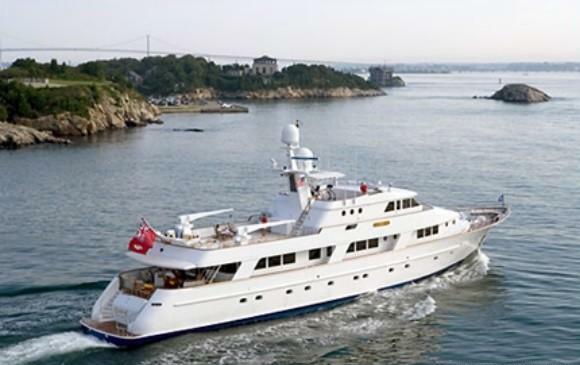 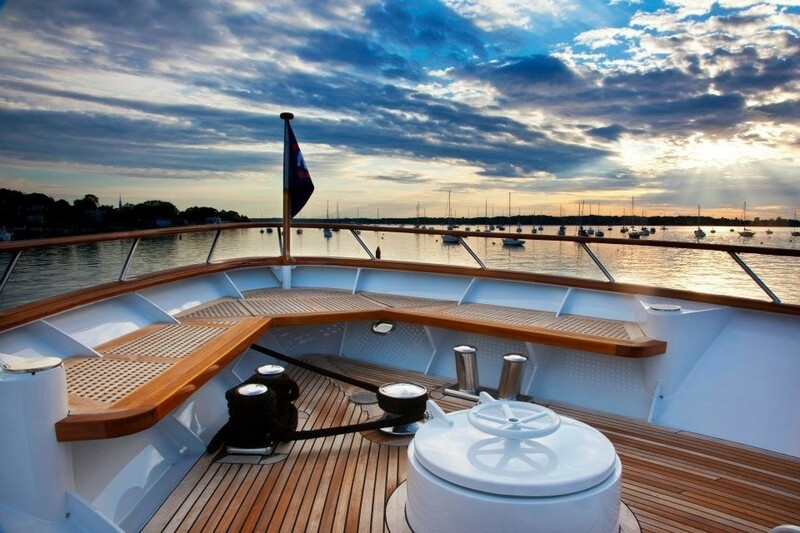 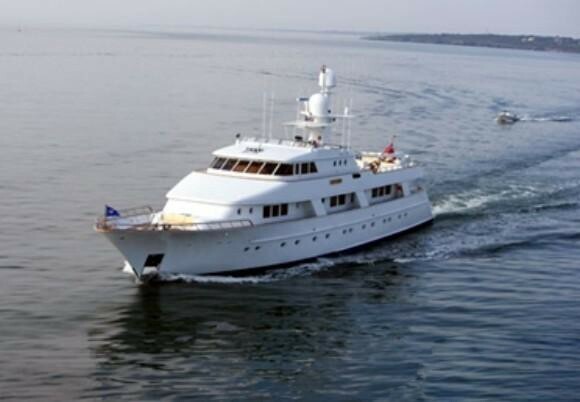 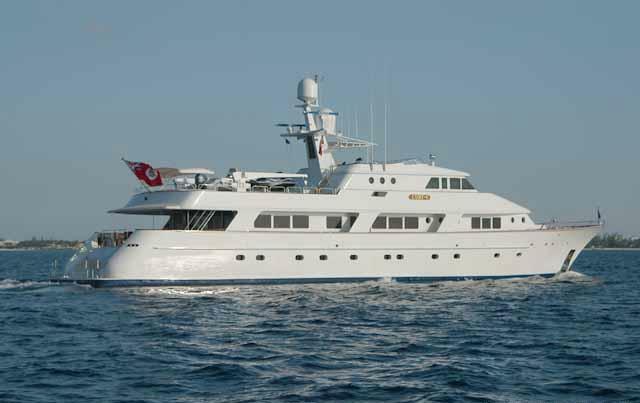 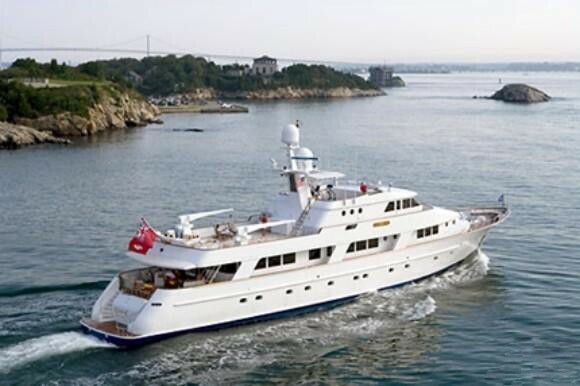 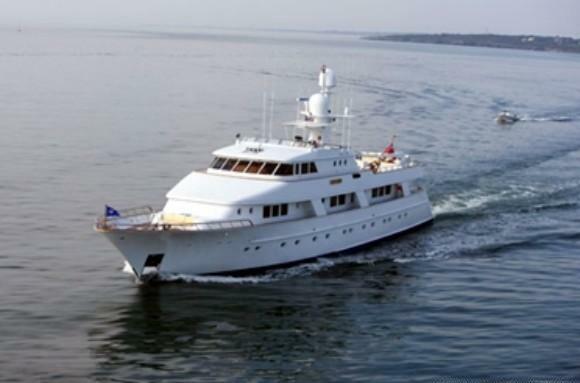 Motor yacht RENA completed a major refit in 2004/5 and 2010, she is in fantastic condition. 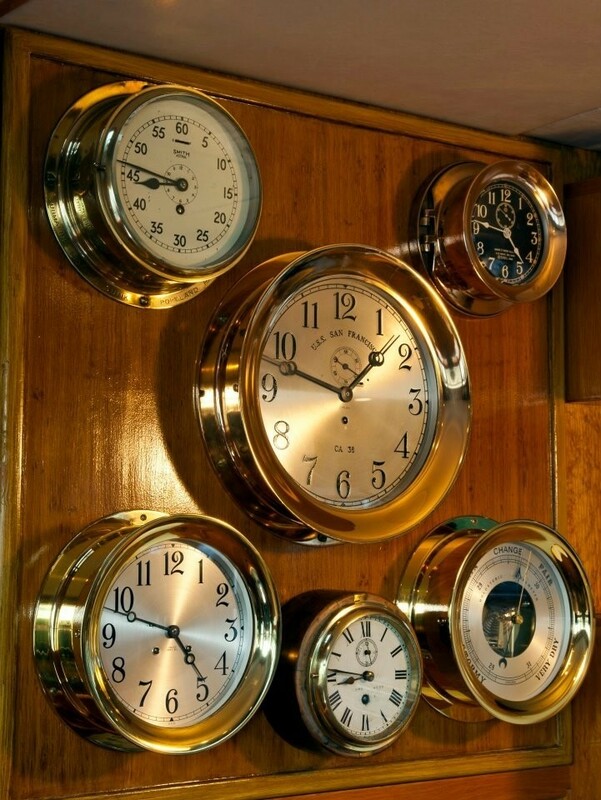 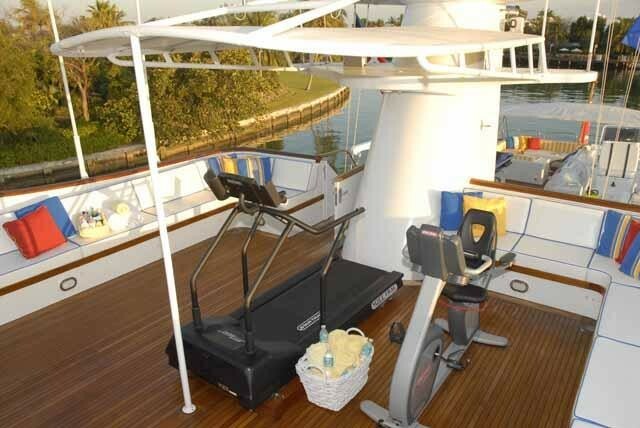 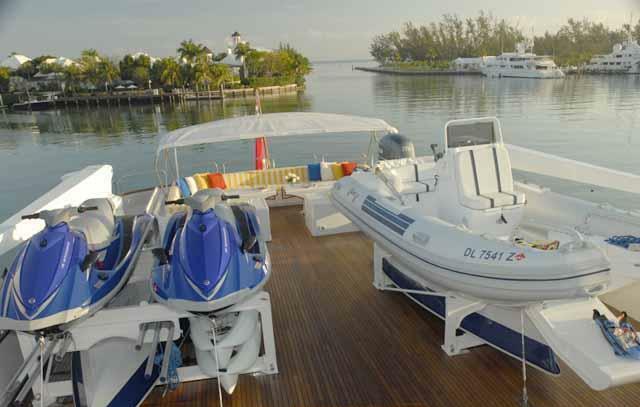 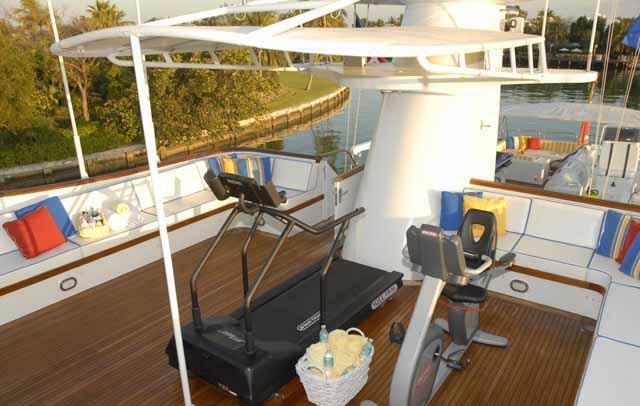 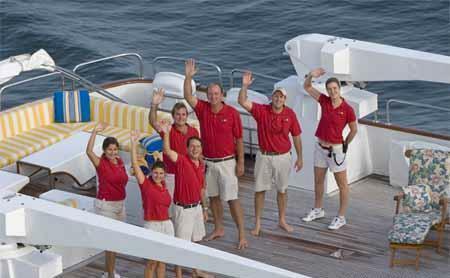 She provides great amenities for her guests, while a professional crew of 7 takes care of everything on board. 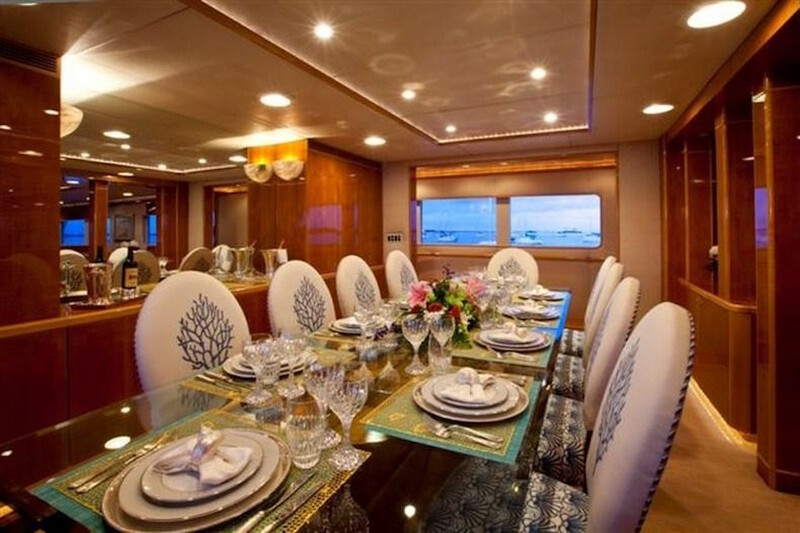 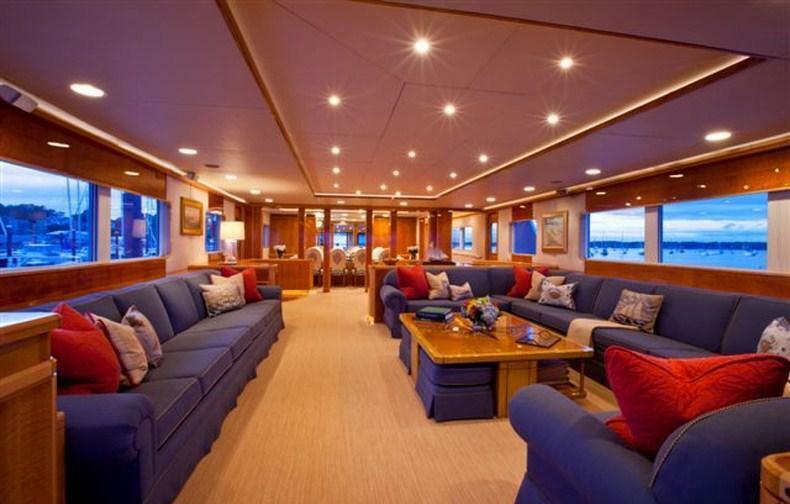 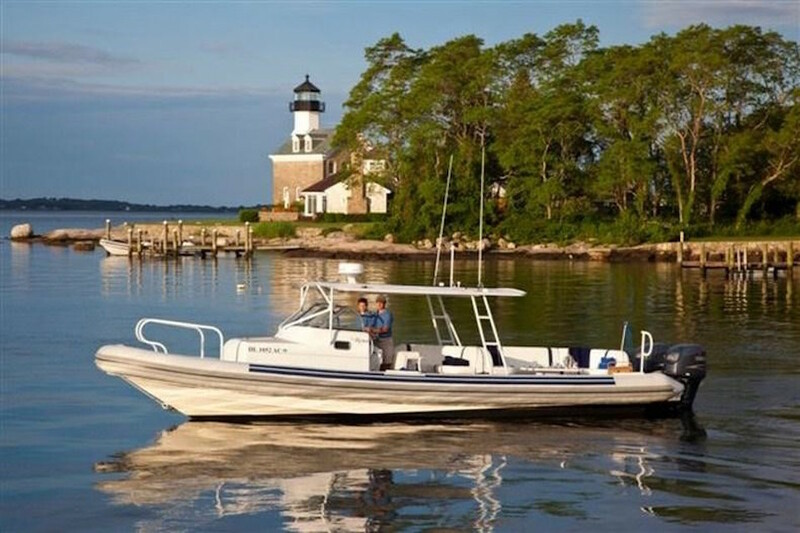 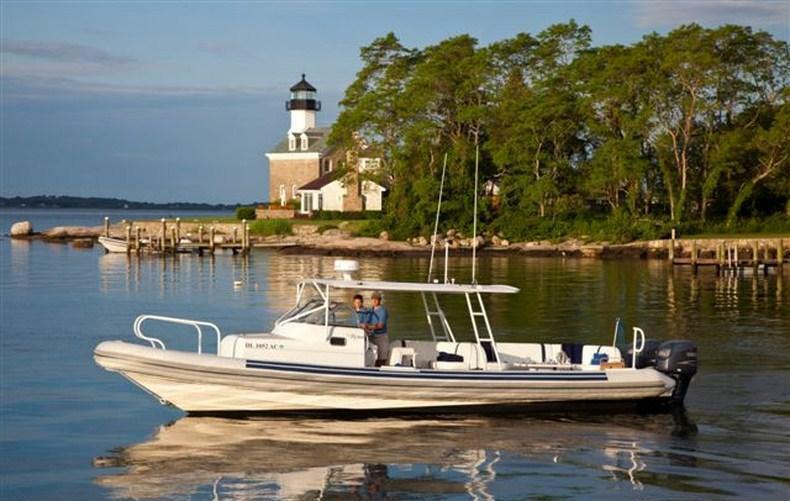 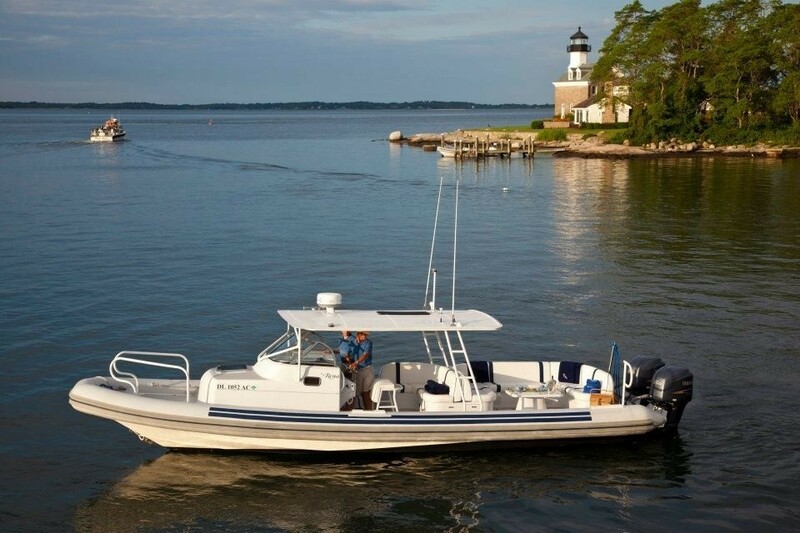 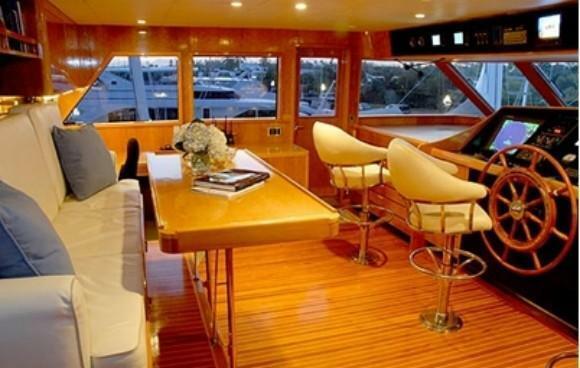 This motor yacht has a quiet elegance inside and a relaxing atmosphere. 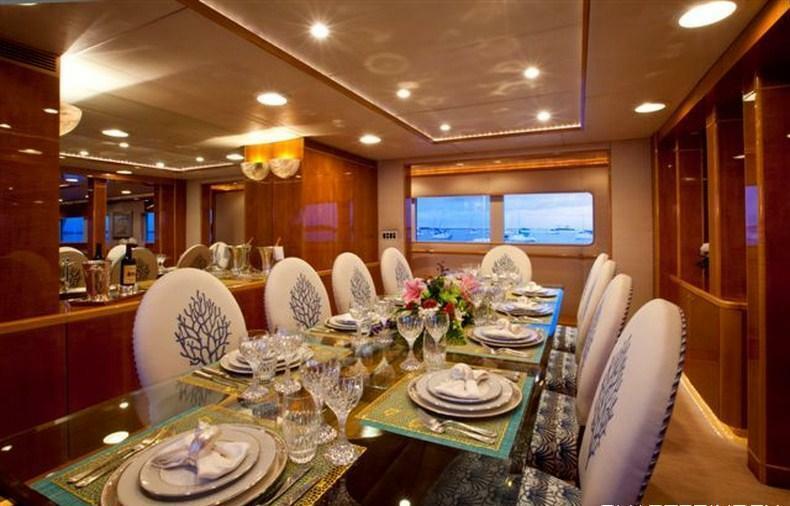 Features of her interior include a full beam saloon, dining saloon, and spacious dining room. 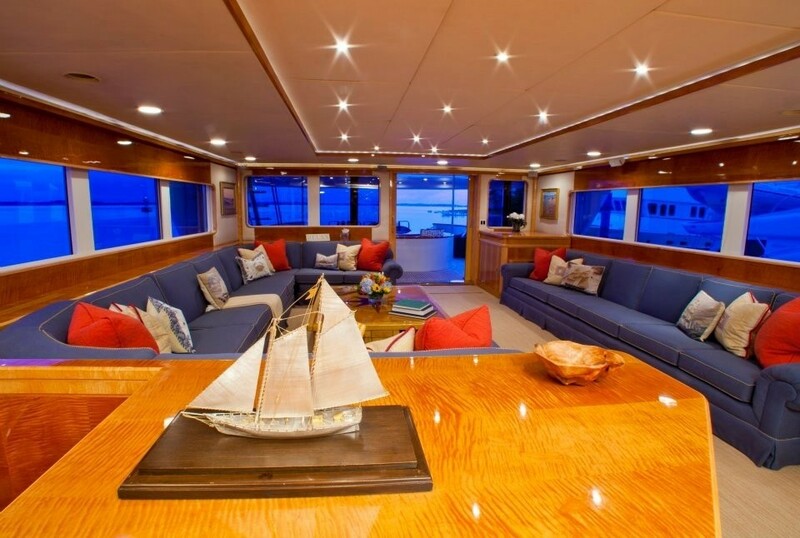 The superyacht’s many outdoor spaces are wonderfully spacious for relaxed entertaining. 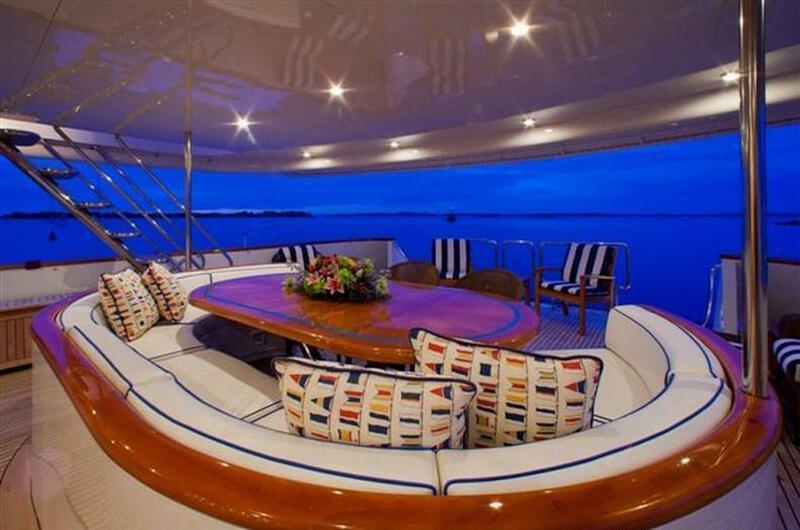 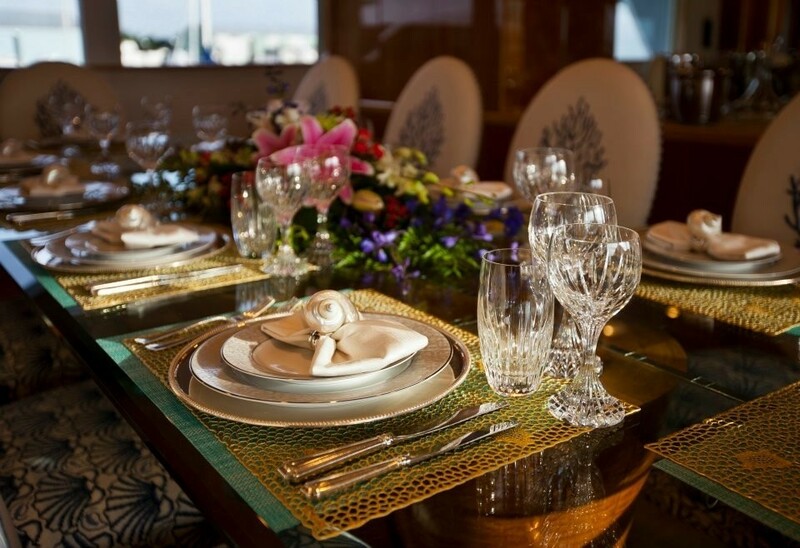 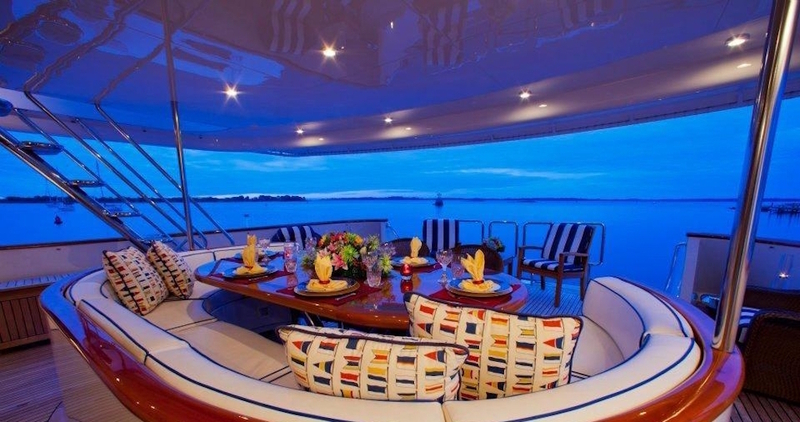 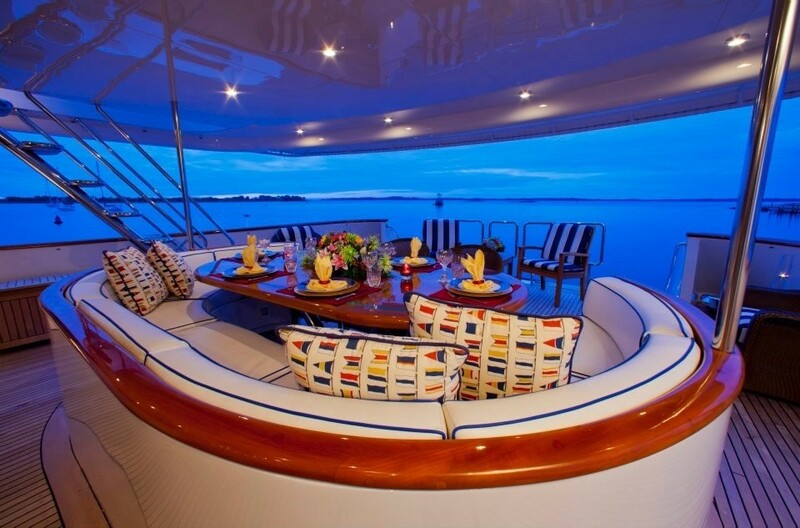 For instance, her large circular table on her aft deck comfortably seats 12 for meals and entertainment or cocktails. 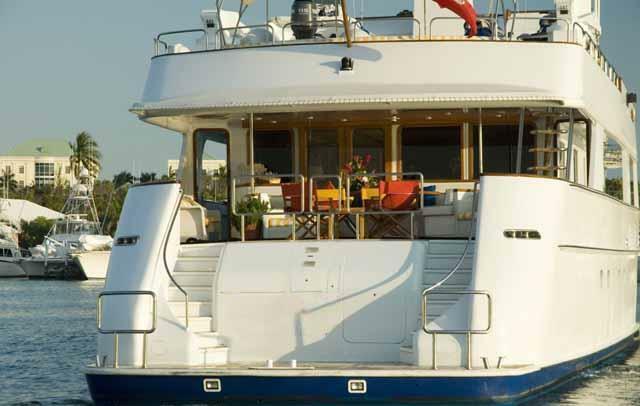 RENA’s upper deck, with its grill and bar, plus table and settees, is also perfect for entertaining and al fresco dining. 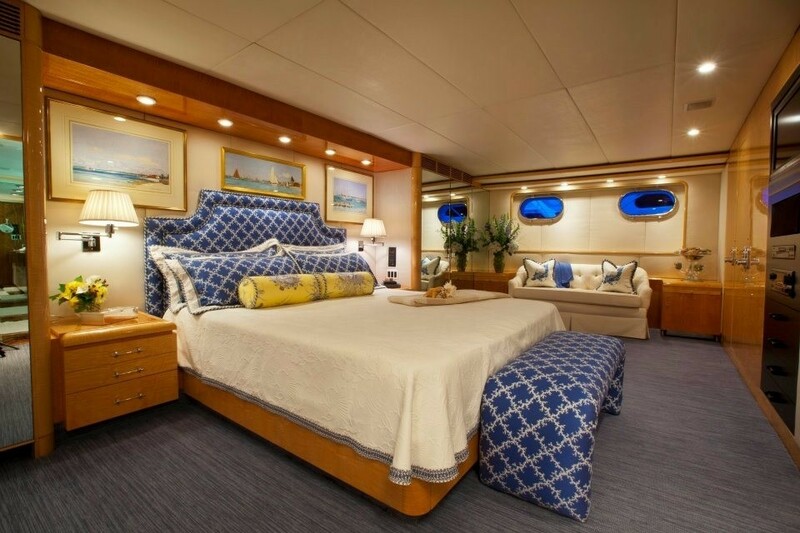 This displacement superyacht can accommodate 10 to 12 charter guests in five beautiful staterooms, all of which have their own ensuite bathrooms and private Spa Pools bathtubs. 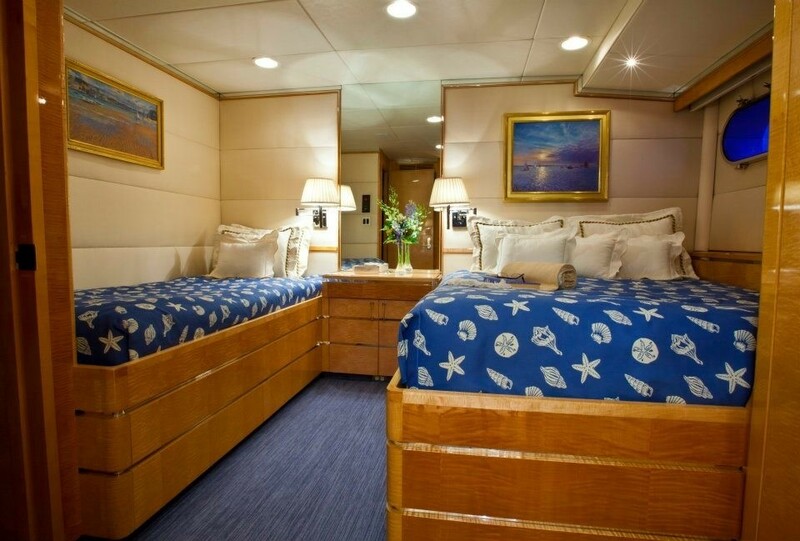 The staterooms also boast good entertainment centres, including flat screen satellite TV, DVD and CD player as well as iPod-friendly connections. 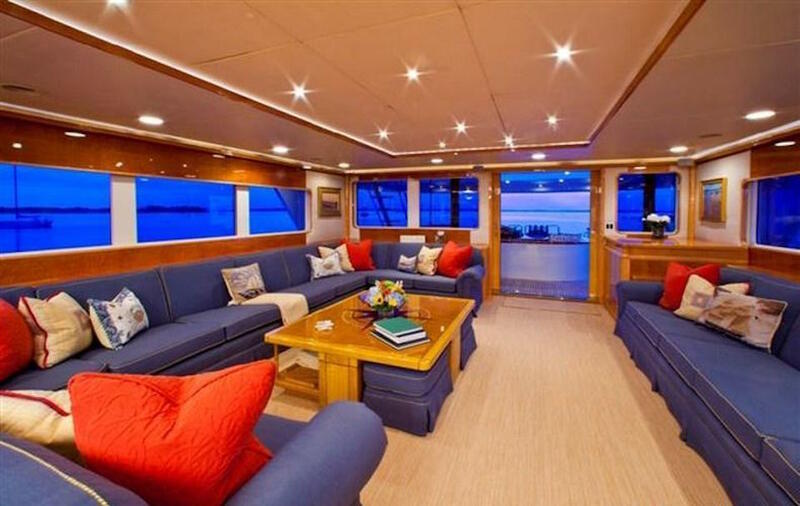 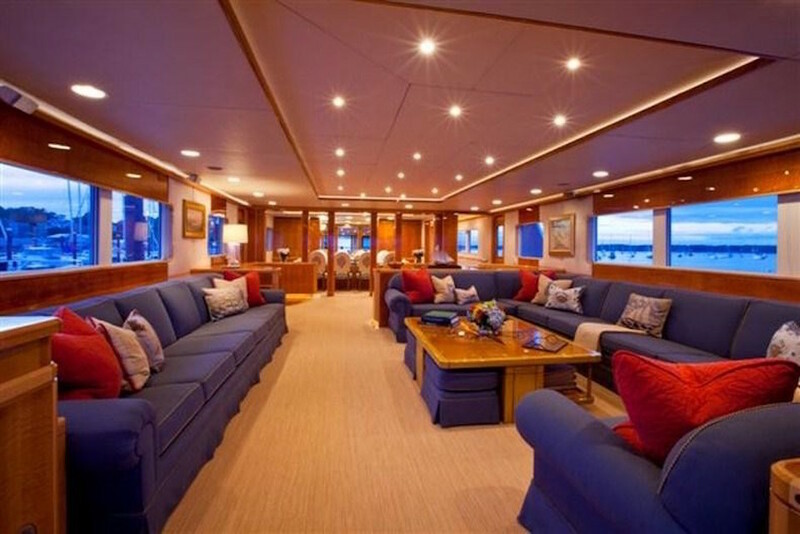 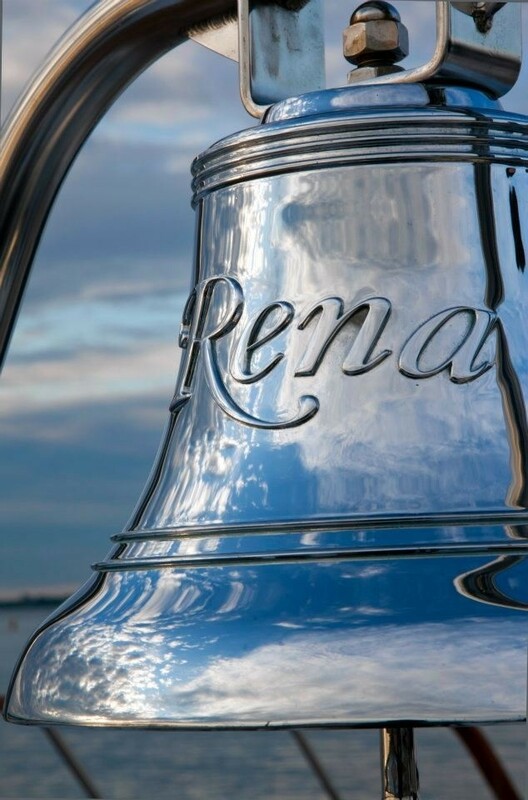 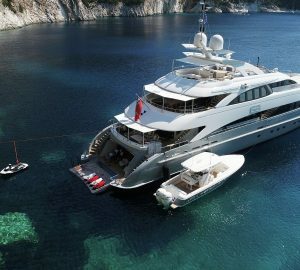 Motor yacht RENA comes with a wide choice of water toys for outside leisure, and she is WiFi internet compatible. 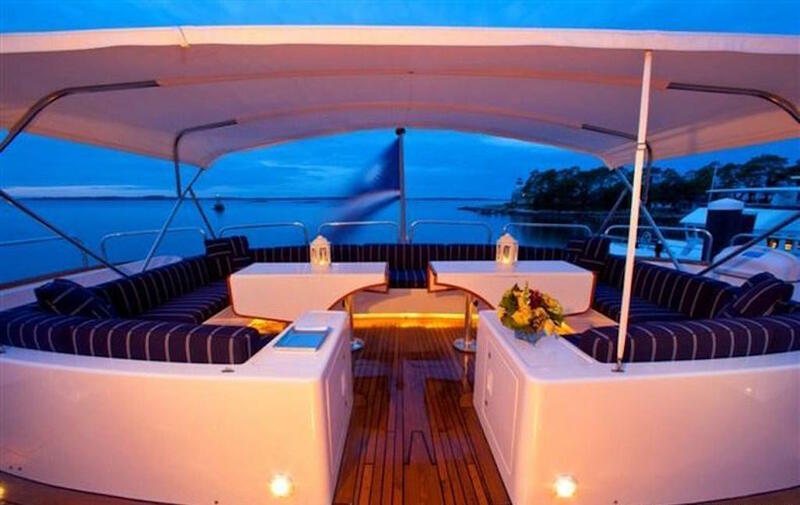 Rena is crewed by an outstanding and experienced crew of 7 who love to treat their guests to memorable theme nights, complete with costumes and delicious food. 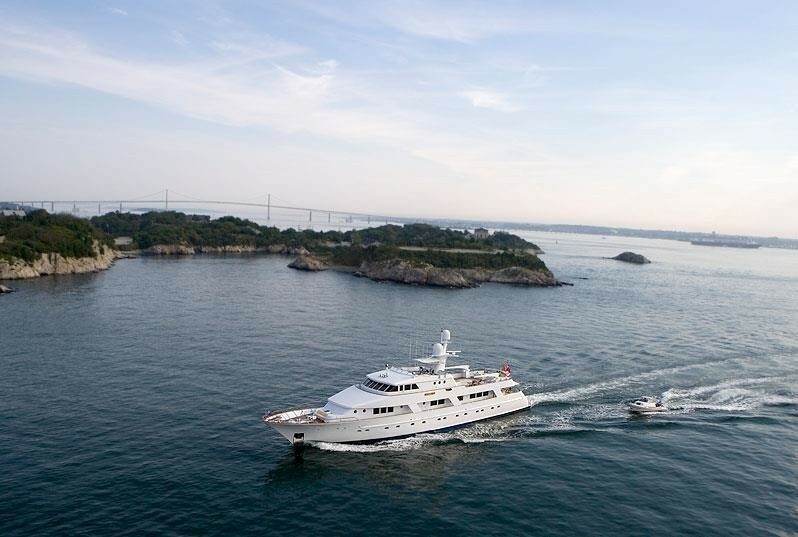 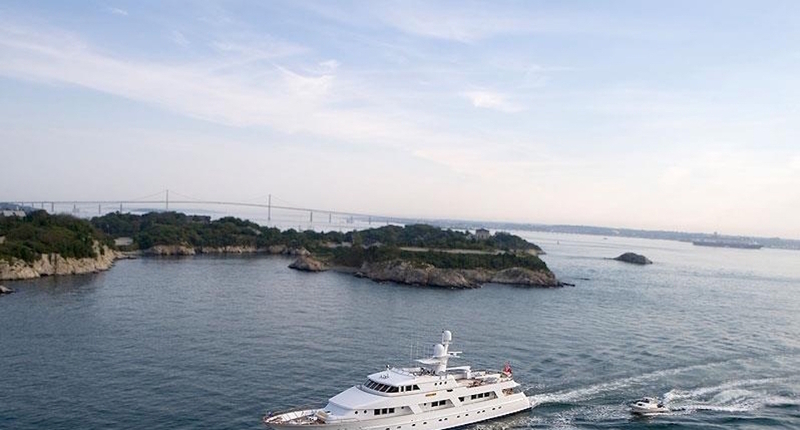 Motor yacht RENA has accommodations for 10 to 12 charter guests in 5 staterooms: Two kings, three queens, three twins and two pullmans. 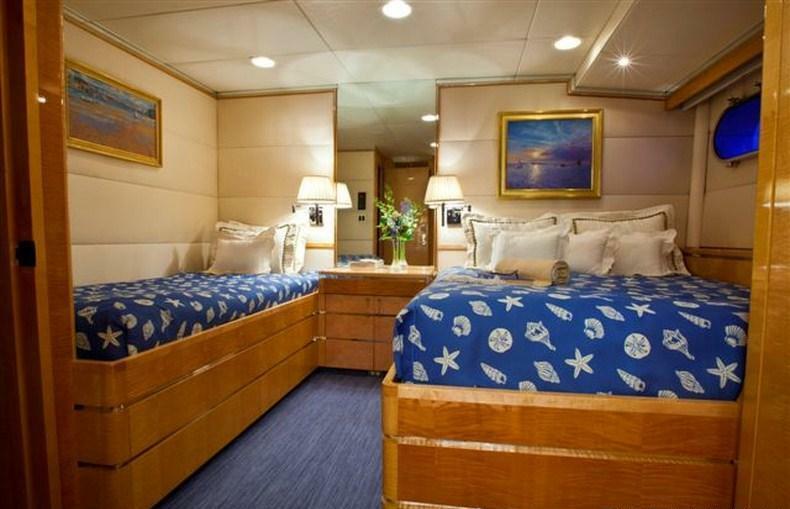 All five staterooms have the state of the art entertainment centers including, DVD, CD, satellite, WIFI and Ipod link up. 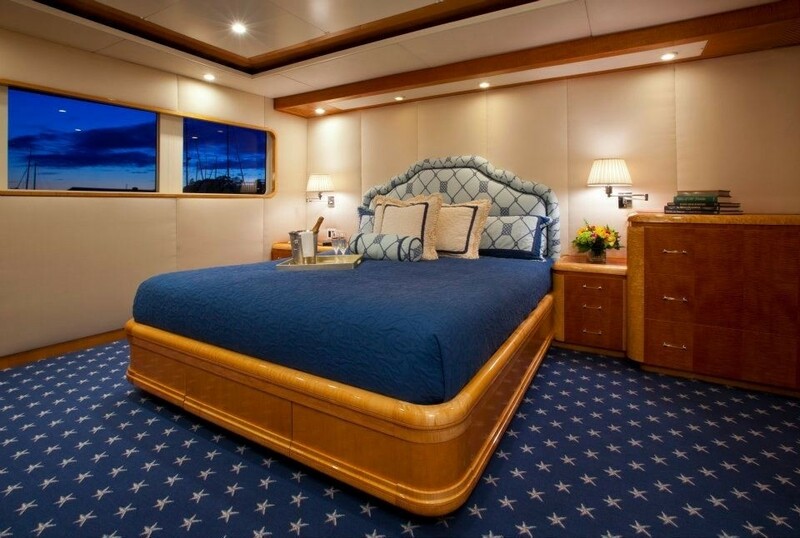 The master stateroom is full width below with a king size bed and Spa Pool tub. 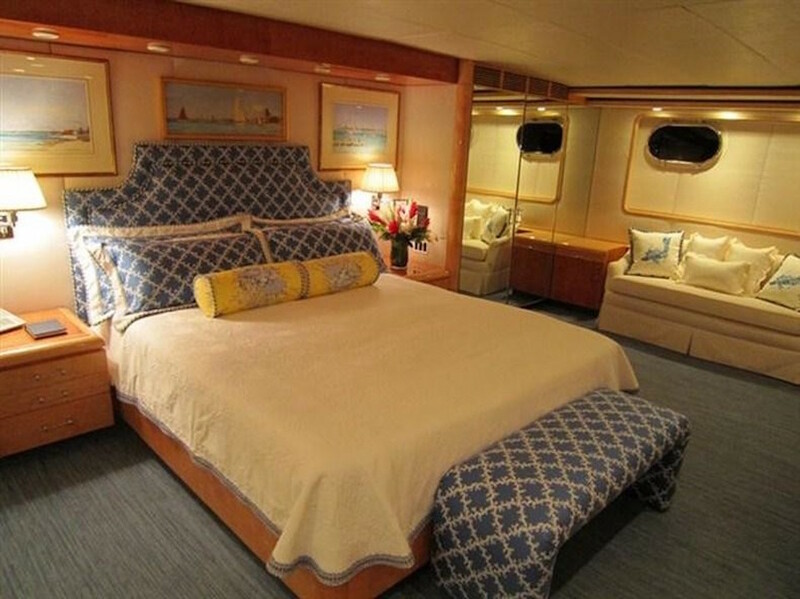 A spacious VIP stateroom with large windows is on the main deck mid-ships. 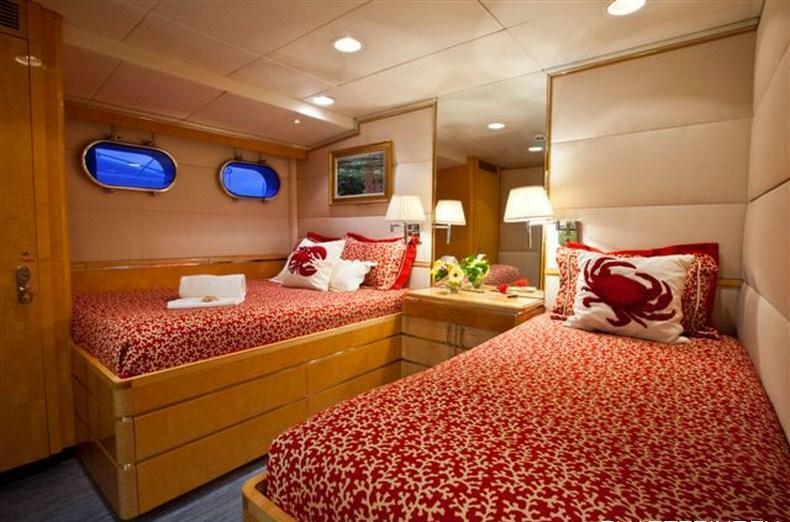 It offers a king bed and Spa Pool tub. 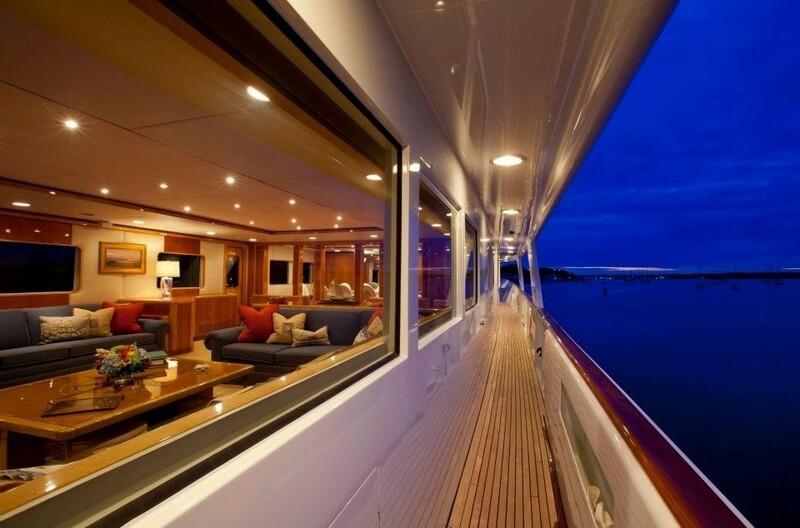 Below are three very large guest staterooms. 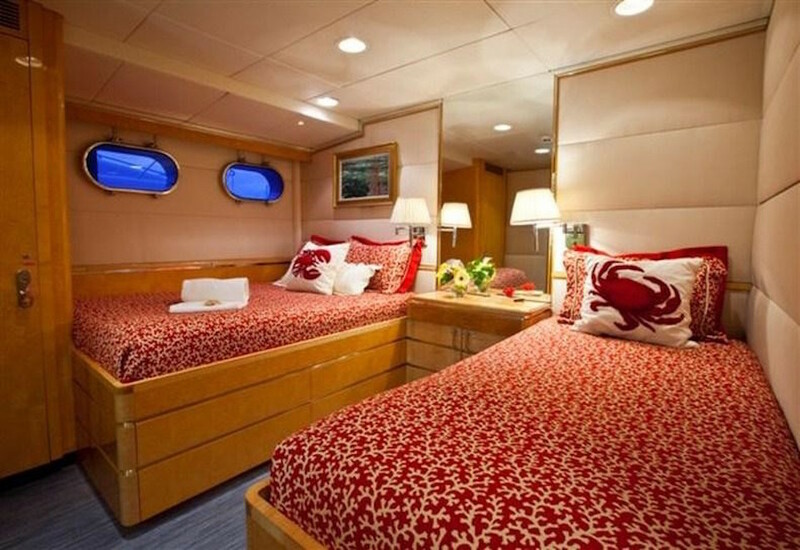 Each have a private Spa Pool tub and offers a queen bed and a twin bed. 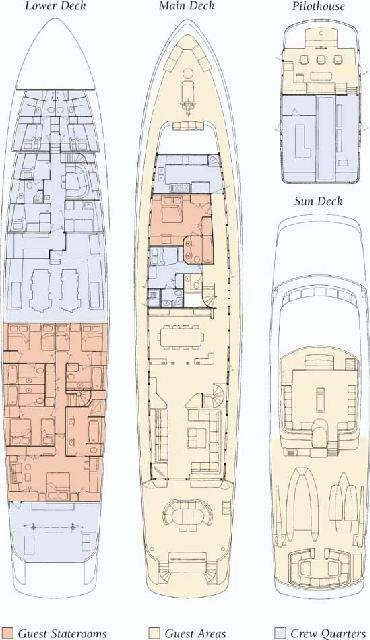 Two rooms have a large Pullman if needed.